If you go to the Minnesota State Fair this weekend, be sure to stop by the Horticulture Building to admire the gardens that have been planted there. The Minnesota State Horticultural Society is responsible for several gardens on the southwest corner of the building, and they are gorgeous, providing a place to rest from the noise and excitement of the fair. 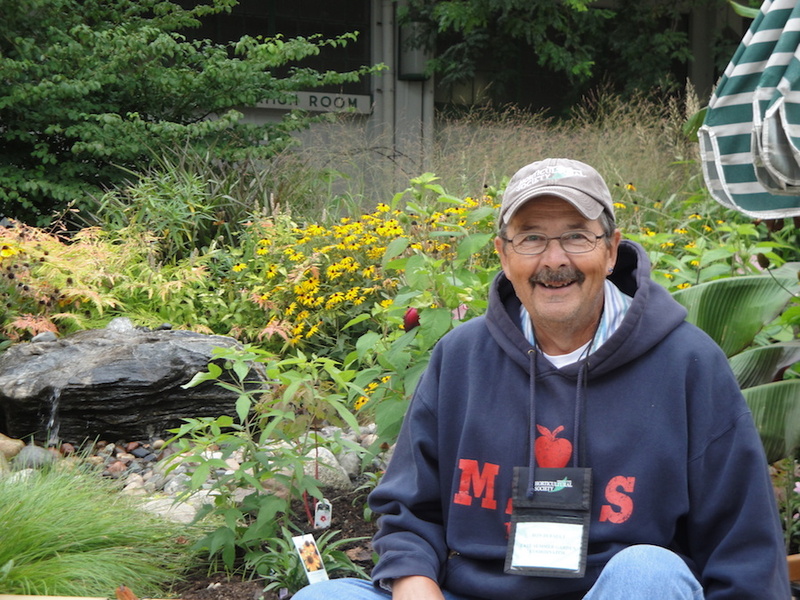 While many volunteers and organizations contribute to the gardens, the mastermind and driving force behind them is Ron Dufour of the St. Anthony Park Garden Club. Ron Dufour in the MSHS State Fair Garden he supervises. Ron supervises the plant selection and design, then works with volunteers to put the finishing touches on the gardens just before the fair opens. I had a chance to talk with him at the fair last night and he noted that volunteers were working the night before the fair opened to get the gardens ready. All summer long, Ron stops at the garden on his way home from work to pull weeds or water the perennials. While he has training in horticulture, Ron has created the kind of garden most people could plant and maintain on their own, full of colorful shrubs, bright perennials, tall grasses and charming annuals. Many of the plants are donated by nurseries and by individuals. Ron spends sometime every day during the fair at the garden, answering questions of the thousands of people that walk by his corner. The plants he gets asked about most are the gloriosa daisies. 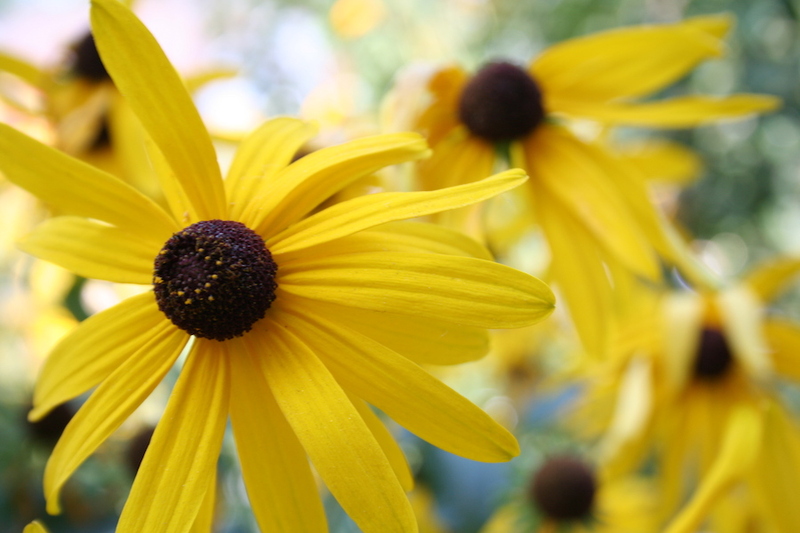 This Rudbeckia is an easy-care, short-lived perennial that readily reseeds. The ones at the fair have a deep red color at the center of the bloom, bright enough to attract attention even at the gaudy fairgrounds.